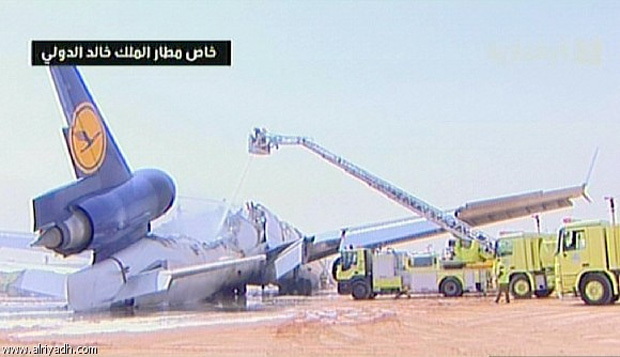 A Lufthansa Cargo aircraft crashed at an airport in the Saudi capital on Tuesday morning, officials said, injuring the two pilots on board. 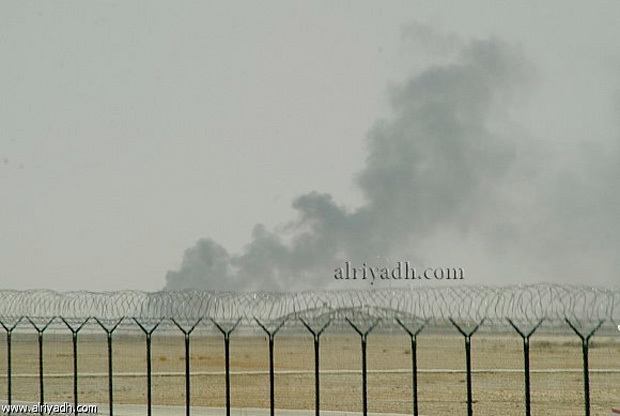 The McDonnell Douglas MD-11 aircraft (D-ALCQ) crashed at 11:28am local time as it was landing at Riyadh King Khalid International Airport (RUH). 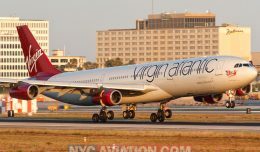 The jet, with flight number LH8460, took off from Frankfurt International Airport (FRA) in Germany several hours earlier. 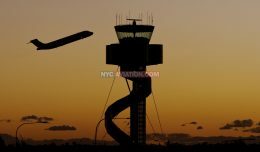 A fire broke out after the aircraft crashed at one of the airport’s runways, injuring the pilot and co-pilot who were the only ones on board the aircraft. The fire was quickly contained. 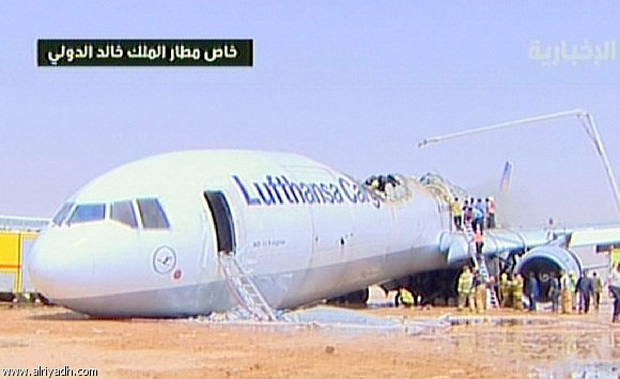 A spokesman for Lufthansa Group, Martin Riecken, said the airline was talking to the pilots. Although he had no details on their injuries, he said they were not seriously injured. “There were no fatalities on the ground,” he added. 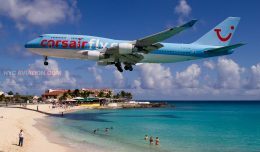 The aircraft was carrying about 80 tons of cargo, but Riecken said he did not know what sort of cargo. 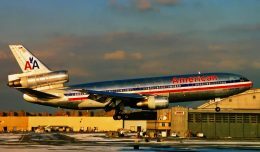 There was no immediate word on what may have caused the crash, but the MD-11 is generally regarded as having a bad safety record. 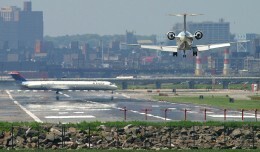 Several of its aircraft have crashed since it was first introduced in 1990, resulting in more than 200 fatalities. The last accident involving an MD-11 was on November 28, 2009, when an Avient Aviation MD-11 crashed on take-off from Shanghai Pudong International Airport in China, killing three people and injuring four others. Lufthansa Cargo is the cargo airline subsidiary of Lufthansa, one of the largest airline in Europe. The main and center gear including tires seam to be in good shape. I dpn't think that a heavy g-load caused the breakup. 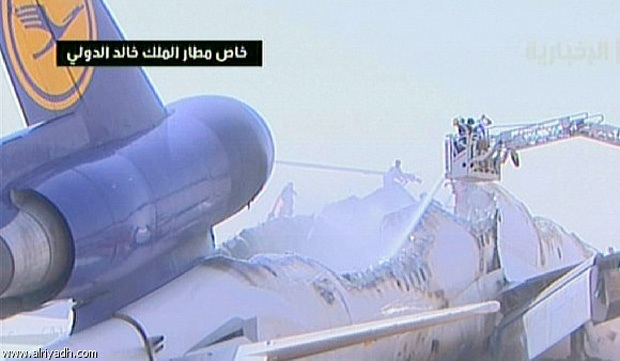 It rather looks as if the structure was weakened by extreme heat and therefore the fuselage broke up during the landing. Once the fuselage breaks up, the nose gear will collapse which seems to have happened here. Let's see what the acccident investigators will find out. As a retired acceptance captain with 10,812 flight hours, I couldn’t disagree more. The aircraft is a dream to fly, and its design and quality superb. All the hard-won design lessons from the DC-10 were incorporated into the MD-11.